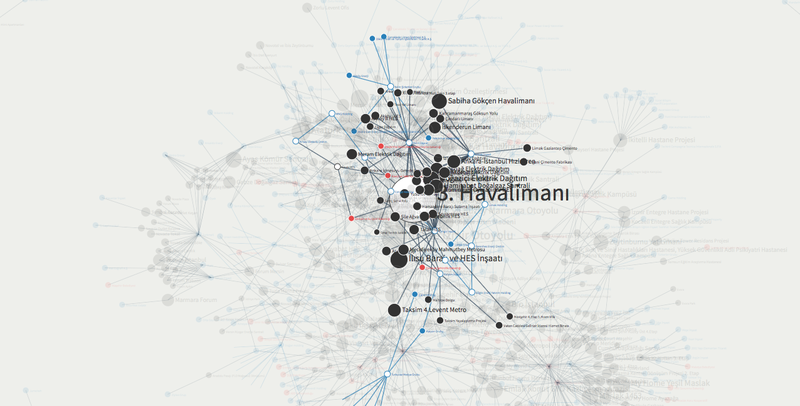 The interview with Yaşar Adnan Adanalı focuses on the collective data-compiling and mapping project The Networks of Dispossession, which is dedicated to analyse the relations between urban development projects and the related concentration of capital and power in Turkey. As becomes clear in the course of the interview, the understanding of dispossession on which this mapping project is based is defined broadly. It includes the loss of natural resources, urban spaces, neighbourhoods, apartments and lives as a result of urban transformation processes. The Networks of Dispossession project includes three maps (link: mulksuzlestirme.org): the first map ‘Projects of Dispossession’ (see Figure 1) exposes partnerships of private corporations and governmental institutions in Turkey; the second map, ‘Partnerships of Dispossession’ (see Figure 2) reveals the close partnerships between different private developers, state actors and institutions and media companies; the third map ‘Dispossessed Minorities’ (see Figure 3 ) examines how properties of minorities, which were confiscated by governmental organizations, have been re-allocated over time. 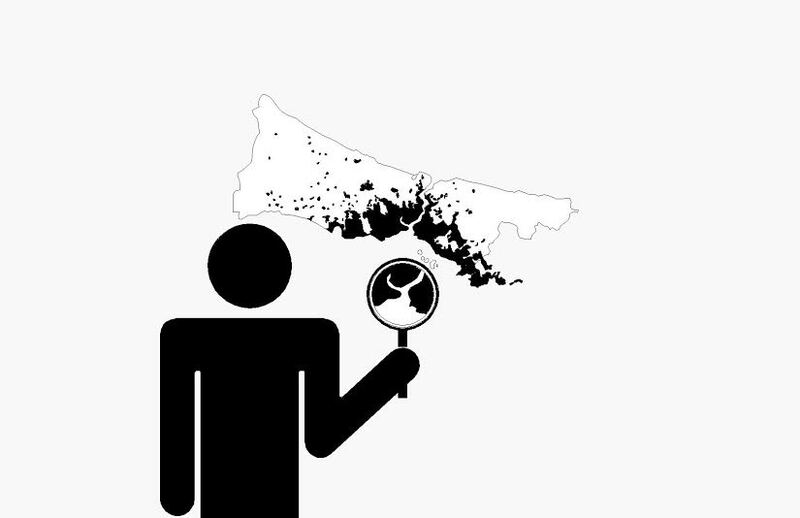 Accountability and transparency are central to this mapping project. All the data used to generate the maps is referenced to publically available sources, such as the web pages of corporations, the Istanbul Chamber of Commerce database and Trade Registry Gazette, or to secondary resources such as newspaper articles.